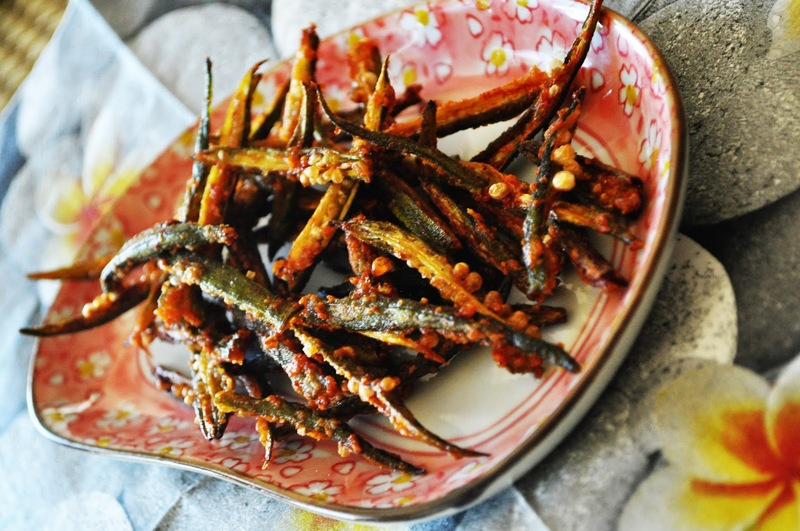 Sprinkle chilli powder, kayam and salt and mix well using a fork taking care not to break them or mash them. Keep them for 10-15 minutes. 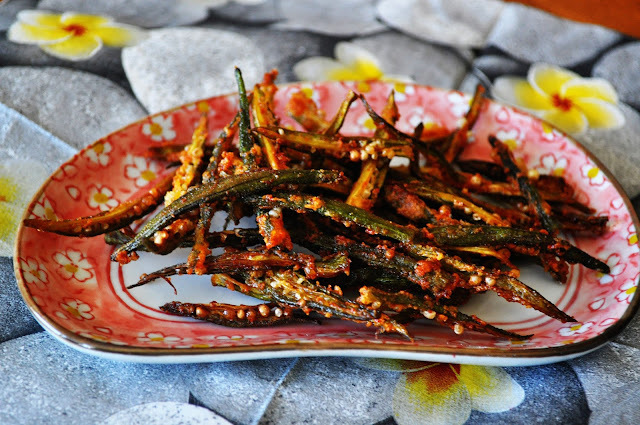 We loved having Okra fry with Rice and Sambar for our lunch today!